As the Son rises to our consciousness, so, too, does the figure of His Mother rise in our collective imagination and appreciation. Christmas Day, the time when the world bows in worship to the coming of the promised Messiah, is followed a full week after by the celebration in honor of the one through whom the human birth of the 2nd Person of the Blessed Trinity came to happen. The Divine Son rises in His full human and divine nature. The Mother rises to the occasion and allows herself to be the necessary instrument for the miracle of the Incarnation to happen. 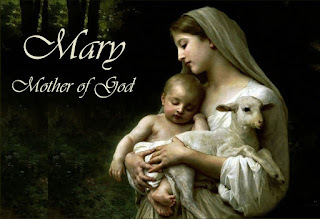 This, my dear friends and readers, is what we honor Mary for essentially – for her unique role in the unfolding drama and story of salvation. Christmas is associated with family togetherness. My heart reached out to so many people who, on Christmas Eve, were trying their best still to catch a ride and go home to the provinces. All bus stations were filled to overflowing and the ports all over the country were no exception. GOD HAS BARED HIS HOLY ARM! 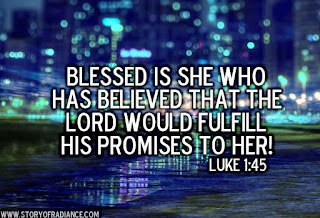 Promise has come to fulfillment today. A child is born for us; a Savior is sent to us. All our longings, from the historical viewpoint, took place in history. All our dreams and desires, have been given a definite pledge of fulfillment, though the fullness of which is not yet with us. But the already of His birth has come to pass. The “not yet” of the fullness of salvation is something we still need to work for “in fear and trembling” but with a definite outcome on the side of the God of promises and the God of fulfillment. The arm is a symbol of power. The arm is a concrete sign of presence. When one’s arm is outstretched, it could be a hand of blessing or an arm of support. But the arm outstretched could also be an arm that reprimands, that punishes, that reminds us when we go our wayward ways. BLESSED IN MORE WAYS THAN ONE! 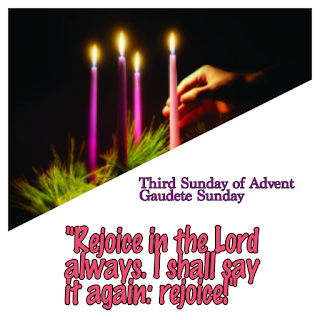 Today is the last Sunday prior to Christmas, and the fifth day of the novena in preparation for the second greatest feast in the Roman Catholic liturgical calendar. 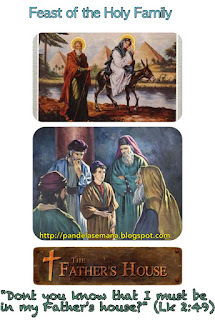 Like we did last December 8, our thoughts are focused now on the one who made Christmas possible – the woman, who, by her cooperation with God, brought forth to the world the reason for the season – Jesus Christ, God’s Son! Five days before the mystery of the Incarnation takes place, we think about her who was a primary player in the Divine Con-spiracy of goodness, grace, and gift. Our times seem to lead us to being apathetic and uncaring. The world has seen too much misery, too much violence, too much corruption from among people in high places that hardly anyone now seems to care enough to change the way things go. People are jaded, their hopes faded, their spirits sagging and their energies plummeting faster than the water tables underground are drying up. Without doubt, the next president of the country where I live willagain be a minority president, as most of those who don’t care anymore most likely will leave the elections to those who have learnt that it can be an alternative way to make money without really trying very hard, at the expense of an enlightened democracy, courtesy of moneyed politicians who are out there to serve the best interests, not of the common good, but of big businesses.